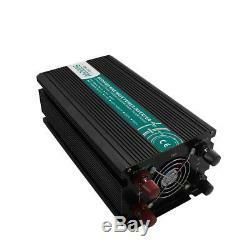 Pay attention:Modified Sine Wave Inverter can not run Electrical Equipment with motor. Output Frequency: 110V defaut 60HZ, 220V defaut 50hz. Leave us a note if you need difference. Output Waveform: Modified Sine Wave. Place of Origin: Zhejiang, China(Mainland). 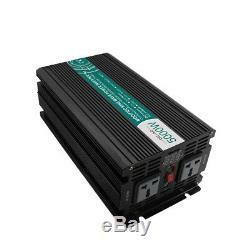 The item "5000W DC12V To AC220V Modified Sine Wave Solar Power Inverter Off Grid" is in sale since Tuesday, May 17, 2016. This item is in the category "Consumer Electronics\Vehicle Electronics & GPS\Car Electronics Accessories\Power Inverters".